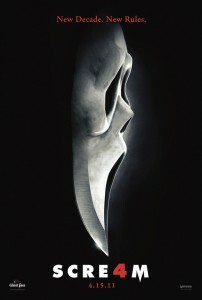 After 10 years, Wes Craven has returned to his landmark Scream franchise. Sidney Prescott, now the author of a self-help book, returns home to Woodsboro on the last stop of her book tour. There, she reconnects with Sheriff Dewey and Gale, who are now married, as well as her cousin Jill and her Aunt Kate. Unfortunately, Sidney’s appearance also brings about the return of Ghostface, putting Sidney, Gale, and Dewey, along with Jill, her friends, and the whole town of Woodsboro in danger. Scre4m - I Got It Right!